If you want your Toyota vehicle to drive like it should day in and day out, there’s no substitute for genuine Toyota OEM parts. Even if saving on repairs is your primary concern, our team provides an alternative to the hassle that comes with confusing online marketplaces and less-than-adequate aftermarket parts. 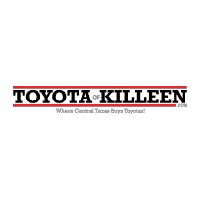 Get connected to Toyota parts specials for Killeen drivers, today! With us, you can secure the Toyota parts you need, from a trusted source, for significantly less than you’ll pay elsewhere. These tires are taken off brand new Tundra’s so we can install upgraded tires and wheel packages. These tires usually have less than 20 miles on them. Installation is $15/tire. Must be presented at time of write-up. Cannot be used towards prior purchases. See Toyota of Killeen for further details. Must be presented at time of write-up. Cannot be used towards prior purchase. See Toyota of Killeen for further details. COMPLIMENTARY: CAR WASH, MANICURE, WEEKLY SPECIALS EVENT, LIGHT LUNCH AND GIFT BAG. WITH SERVICE APPOINTMENT. RESTRICTIONS APPLY. SEE DEALER FOR FUTHER DETAILS. STARTING MAY 10. If you’re not seeing the part or the part special that you’re searching for, don’t panic. Our well-connected dealership can order any parts you need today, and we’re easy to reach if you need to answer questions about a certain part or process. You should also know that we offer a lifetime engine warranty on every new vehicle purchased off our lot! All this is to say: getting the Toyota Tundra parts or Toyota repairs you need just might be a whole lot easier, and a whole lot more affordable than you’d expect. Take advantage of one of our Toyota parts specials in Killeen, today!